Oklahoma’s country music roots run deep. The best way to experience Oklahoma’s country and western heritage is to hit the road and travel the rural roads and picturesque landscapes that have inspired country artists over the years. Discover relics from country music pioneers and snap photos at the birthplaces of some of the biggest names in country music today. Stop along the way to two-step at some of the best live music venues in the nation or shoot some pool while listening to local artists belt out their favorite covers. Continue your journey to cut a rug at country dance halls and take the time to pick up a pair of custom boots or settle into a booth for a country-style meal. Originally known as Berwyn, when western crooner Gene Autry bought a ranch on the edge of town, everyone voted to rename the city in honor of their famous resident in 1941. Check out this museum chronicling the musician's life. Many of country music’s biggest names have stepped through the doors of the McSwain Theater in Ada. Located in Blake Shelton’s hometown, this stage is where Mae Boren Axton first saw him play. 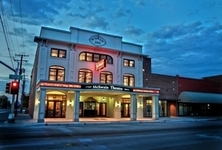 The “Queen of Country Music” Reba McEntire has also performed here. On the cover of Blake Shelton's album "Bringing Back the Sunshine," the superstar country singer proves he hasn't forgotten where he comes from and features this piece of his hometown. Toby Keith worked to revive Hollywood Corners, a 1920s-era service station with a unique past located northeast of Norman. Hear country music’s next superstar take the stage at the Wormy Dog Saloon in Oklahoma City. Put on your best jeans, grab an ice cold beer and get ready to boot, scoot and boogie the night away. Find a piece of Nashville in Oklahoma City at a performance of this popular opry, where musicians and singers belt out country mega hits and singles. You’ll be blown away by the Oklahoma grown talent on the stage of the Centennial Rodeo Opry in Stockyards City. While you’re in Stockyards City, get some new country duds at Langston’s Western Wear. Langston’s has a reputation for carrying high quality boots, jeans and cowboy hats that we’re sure you’ll look great in. Cattlemen’s Steakhouse has been serving hungry cowboys and steak lovers since 1910. Dinner at Cattlemen’s is a quintessential part of the Western experience in Oklahoma City. Known for their thick cuts of prime meat and amazing sides, you certainly won’t leave here hungry. Stop in for a night of line dancing and fun at Graham Central Station. There’s plenty of space for you and your dancing partner on the big dance floor and enough ice cold beer for everyone. Cowboy culture runs deep and wide in Oklahoma. Experience Oklahoma’s Western history at the renowned National Cowboy & Western Heritage Museum, where popular country musicians Vince Gill and Reba McEntire are featured in the museum’s Hall of Western Performers. Nothing says country music like a well-tuned fiddle. With beautiful instruments for sale and a venue for live performances, the Double Stop Fiddle Shop is the place to be in Guthrie. 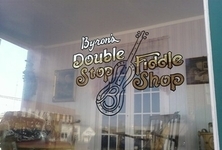 Owner Byron Berline is a well-known fiddle player and friend of Vince Gill. Vince has even been known to stop in for impromptu jam sessions on occasion. Serious cowboys and cowgirls get their boots custom-made. Be a part of the cowboy scene and get some beautiful handcrafted boots at Sorrell Custom Boots. To get a full country music experience in Stillwater, a concert at the Tumbleweed Dance Hall is a must. Hank Williams Jr., Merle Haggard, Willie Nelson and Garth Brooks have all graced the Tumbleweed’s stage with their presence. Plenty of country musicians have made their way through Willies Saloon, but it claimed its place in the history of country music when the saloon’s owner gave Garth Brooks a weekly gig in the early 1980s. Before hitting it big in Nashville, Garth Brooks lived in Stillwater with his first wife. 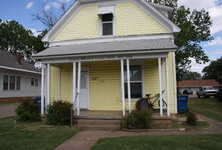 The front of the house proudly claims “Garth Brooks Lived Here,” making it a great photo opportunity for any country music fan. Even a cowboy has to rest at some point. After boot scootin’ the day away, lay your head down at Meadowlake Ranch. Stay in one of Meadowlake Ranch’s luxury lakeside cabins and go fishing, horseback riding and rifle shooting after you’ve had a big country breakfast. Make your way into Tulsa and stop at Go West for “contemporary cowboy cuisine.” With a modern take on Southern favorites like pork chops, quail and calf fries, Go West Restaurant & Saloon mixes equal parts rustic cowboy and city sophistication. 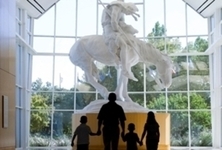 The Gilcrease Museum houses some of the most incredible Western art in the world. View the Gilcrease’s impressive collection that includes more than 10,000 works of art that depict everything from life on the Western frontier to the history of Native Americans. Take your boots out on the town and head for some line dancing at Caravan Cattle Co. Caravan Cattle Company features several different interior sections for cowboys and cowgirls of all kinds. 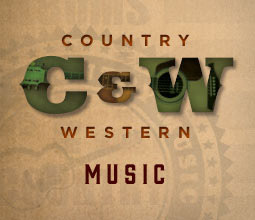 You can shoot pool, hear live country bands and dance to today’s country hits all in one place. Take a seat at Toby Keith’s restaurant and enjoy Southern-style favorites and plenty of honky tonk décor. Offering catfish, cornbread and beans, prime rib and even fried bologna sandwiches, Toby Keith’s I Love This Bar inside the Hard Rock Hotel & Casino has all the attitude of the country superstar. 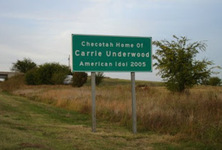 Carrie Underwood’s song “I Ain’t in Checotah Anymore” begins and ends with the words “Where 69 meets 40/There’s a single stop light in town.” That town, where these two highways meet, is Checotah, Oklahoma, where Carrie grew up.